Get tickled pink this Valentine’s season with an animated edition that peels back to unveil a tumble of Emoëticon stickers. As we enter into the month of romance, there’s no better way to salute to the mood than with a toast of bubbly. 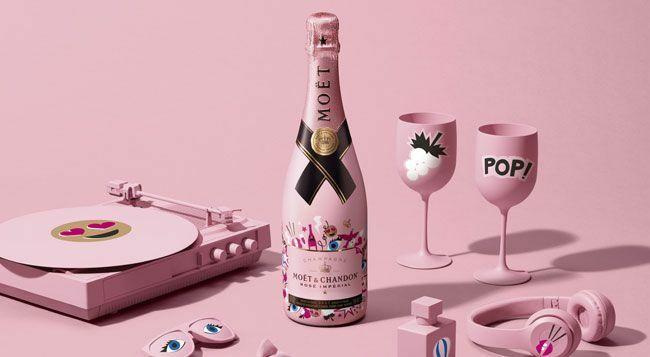 Right on time for the season, Moët & Chandon introduces the new Rosé Impérial Emoëticons Limited Edition for 2017, a playful vessel for the language of love. Dressed in a festive pink sleeve, the Rosé Impérial Emoëticons features a splash of ‘emojis’–or Emoëticons–like champagne bottles, flutes, heart sunglasses, smileys, lips and playful expressions of the modern love language. Peel back the bottle’s front label, and you’ll find a tumble of Emoëticon stickers, encouraging you to get creative. Packed in a gift box splashed with more Emoëticons, it’s an edition both collectors and non-collectors will covet. This fun edition conveys the enduring elegance of the red fruit and floral champagne, packaged into an interactive #myEmoeticons theme. Catch your loved ones by surprise this Valentine’s Day with the quirky gift of Rosé Impérial Emoëticons Limited Edition.